Yutaka Shikano is a researcher at the Keio Quantum Computing Center. He received his B.S. in Science in 2007, an M.S. in Physics in 2009, and a Doctor of Science in Computer Science in 2011 from the Tokyo Institute of Technology. During his graduate study, he was a visiting student at the Massachusetts Institute of Technology. He has worked as a JSPS Postdoctral fellow at the Tokyo Institute of Technology, a research associate professor at Institute for Molecular Science, National Institutes of Natural Sciences, and a project associate professor at Research Center for Advanced Science and Technology (RCAST) at the University of Tokyo serving as project manager of the JST ERATO Nakamura Macroscopic Quantum Machines project. Dr. Shikano’s current research is quantum measurement to visualize quantum dynamics and quantum foundations related to quantum information. Other research interests include photophysics and pattern formation. He is a Research Associate Professor of the Graduate School of Science and Technology, Keio University and an affiliated member of Institute for Quantum Studies, Chapman University. 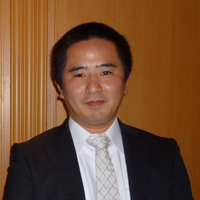 Dr. Shikano is a member of JPS, JSAP, and APS.